Mumbai: Haffkine Institute of Training, Research & Testing with 120 years of biomedical expertise is partnering with IIT Bombay with 60 years of engineering excellence to establish a Biomedical Engineering & Technology incubation Centre (BETiC) at Haffkine campus in Parel. The MoU was exchanged on 11 Feb 2019 at Sahyadri Guest House, Mumbai in the presence of Hon’able CM of Maharashtra, Shri Devendra Fadnavis and Minister of Medical Education, Shri Girish Mahajan; facilitated by Dr. Anand Bang, Honorary Advisor-Health, to the CM. The Haffkine Institute was represented by its Director Dr. Nishigandha Naik and IIT Bombay was represented by Prof. B. Ravi, Head, Biomedical Engineering & Technology incubation Centre (BETiC). “The presence of leading hospitals in Parel, including Tata Memorial Hospital, King Edward Memorial Hospital and Bai Jerbai Wadia Hospital for Children will enable better identification of unmet clinical needs as well as quicker feedback on devices during their development. An interdisciplinary team of doctors and engineers will develop innovative medical devices suitable for local population, in the proposed center,” shared Dr. Nishigandha Naik, Director of Haffkine Institute. The partners are planning a Medical Device Hackathon (MEDHA) in the month of March to kick-start the activities by bringing doctors, engineers and other stakeholders together. “The hackathon will help us curate the unmet clinical needs and identify committed innovators to take it forward. 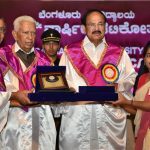 Previous MEDHA at partner institutes have been very successful in sensitizing the participants about the importance and process of med-tech innovation,” said Prof. B. Ravi. A brainstorming meeting was held at Haffkine Institute on 13th Feb 2019 with clinicians from local hospitals to get their views about the proposed innovation center and to identify the problems to be taken up at the next hackathon. “Another MoU has been signed with the Medical Education and Drug Department of Government of Maharashtra to establish BETIC cells in three government hospitals – B.J. Government Medical College & Sassoon General Hospital, Pune; Grant Government Medical College and JJ Hospital, Mumbai; and Government Dental College & Hospital, Mumbai,” Prof. Ravi added. These efforts will accelerate indigenous medical device innovation leading to affordable healthcare.